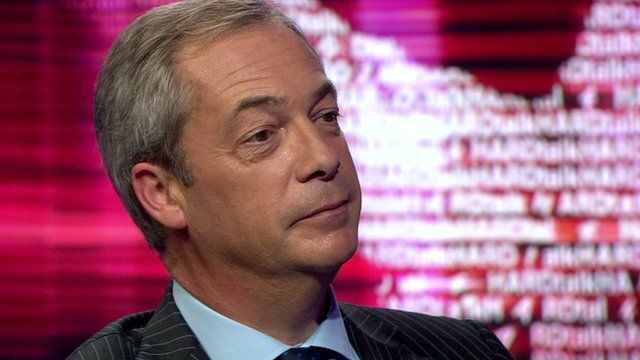 There are three outcomes required from the negotiations for the UK to leave the European Union, the former leader of the UK Independence Party (UKIP), Nigel Farage has told BBC HARDtalk's Stephen Sackur. "To me, Brexit is easy," he said. "We have back British passports, we have control of our fishing waters, and our companies are not subject to EU law through the single market," he added. Asked whether he trusted the government to deliver the mandate it was given by the June referendum, he said: "I'm worried about the government, I'm worried about backsliding." Mr Farage resigned as leader of the UK Independence Party shortly after the vote to leave the EU, but he did not rule out a return to politics. When asked what he would do if Brexit was not delivered by 2020, Mr Farage said: "Well I couldn't walk away, could I?" You can see the interview in full on Tuesday 20 September 2016 on BBC World News and the BBC News Channel and after on BBC iPlayer (UK only).